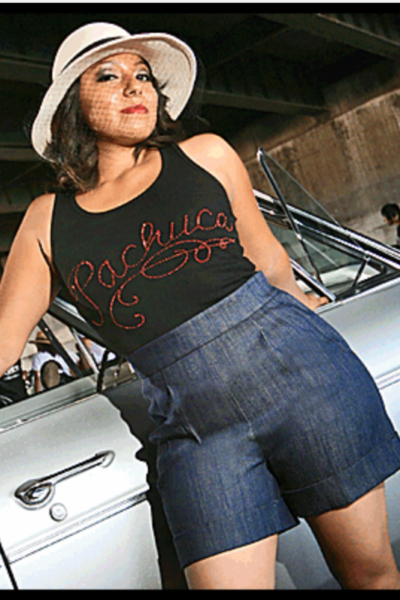 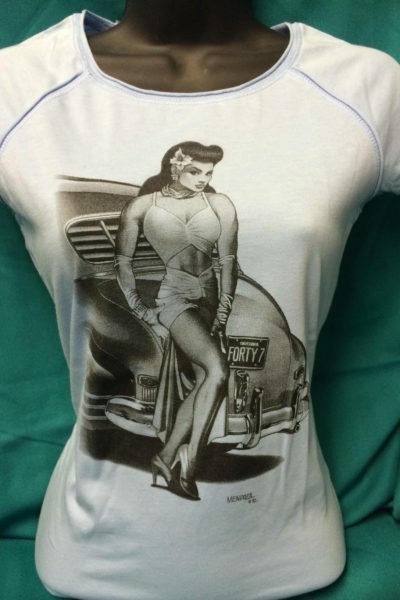 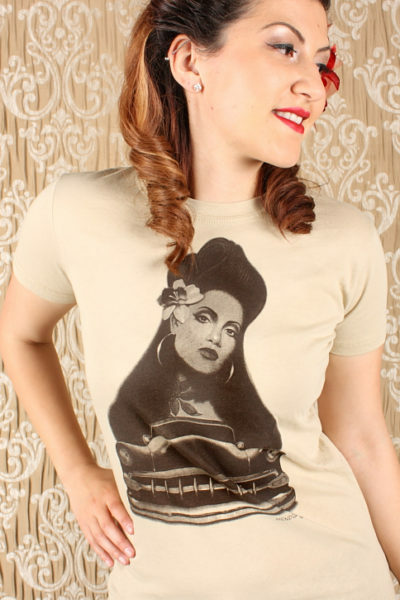 The La Pachuca line features women’s 1940’s style sailor pants, high waisted skirts with suspenders, overalls, shoes, hats and caps, and also a very extensive line of silk-screened tees, tanks, and jackets with retro style artwork. 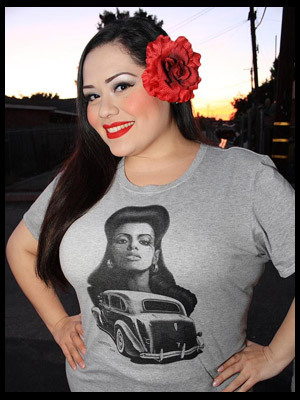 Some of which include exclusive designs from artist Julian Mendoza. 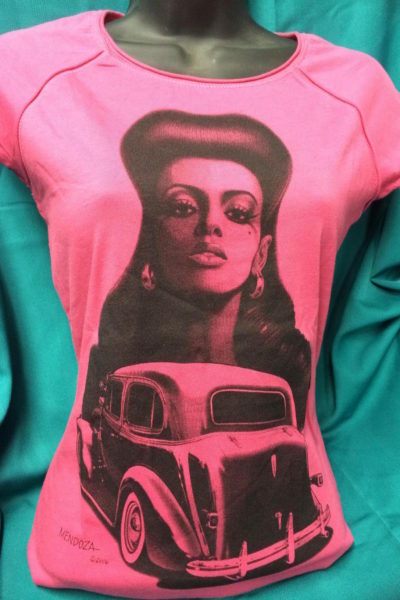 Also, featured is a large selection of retro style jewelry, purses, umbrellas, snoods, and many other unique accessories.